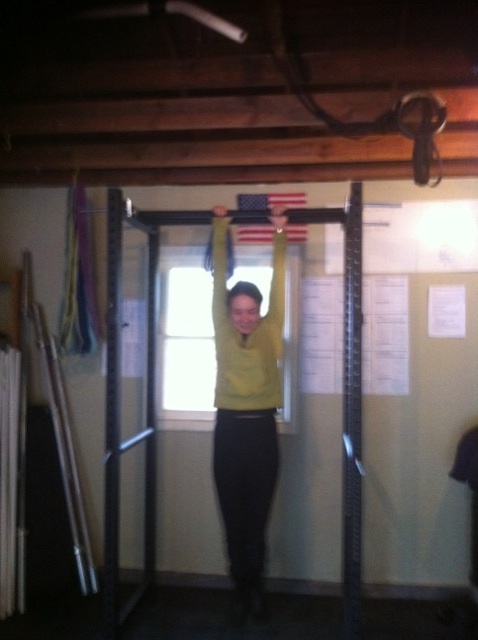 Rimma works on her dead hang pull ups!! This is great for squatting, back, front, box squats, pull ups, dips and much more. Check it out next time you are in! Here is to you and your fitness goals!